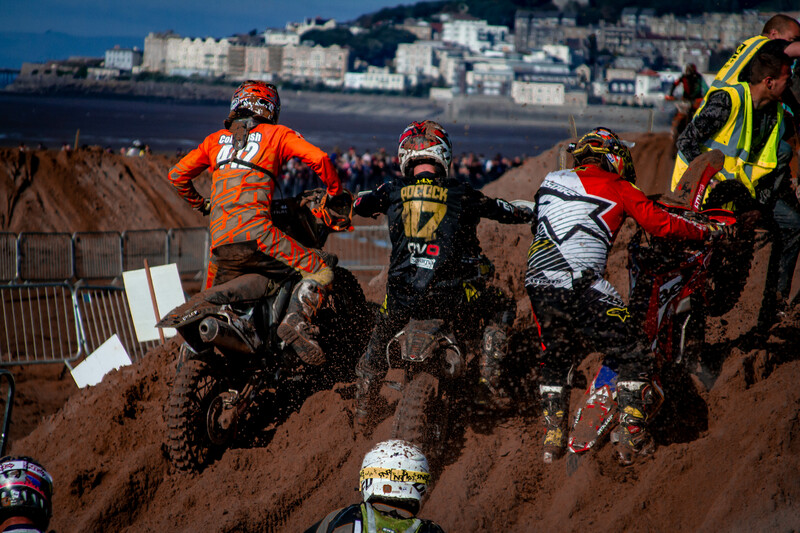 THE REVO FAMILY HEAD TO WESTON-SUPER-MARE BEACH RACE. 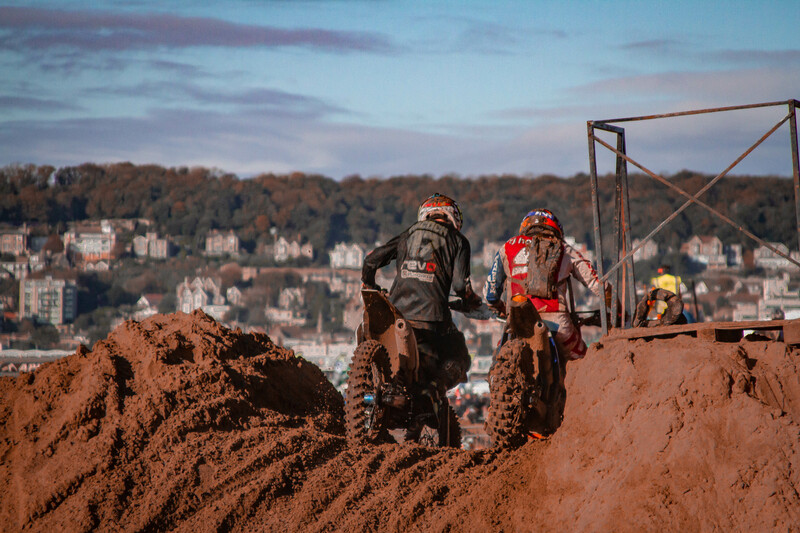 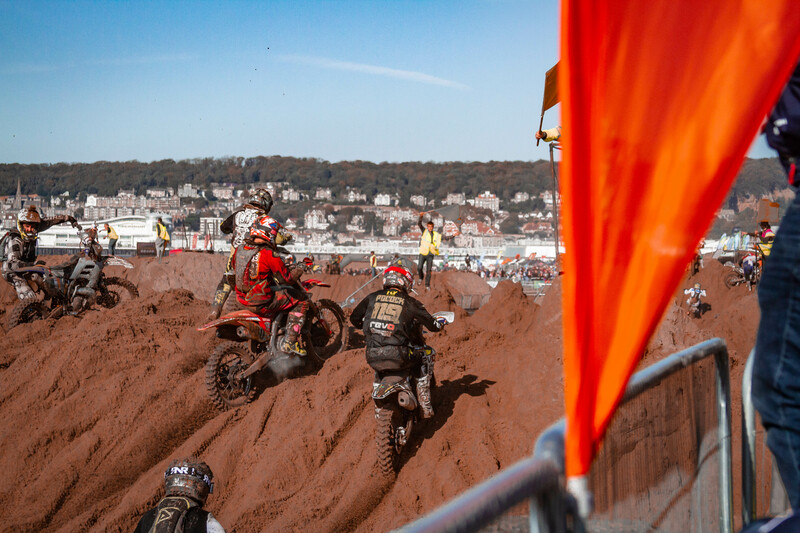 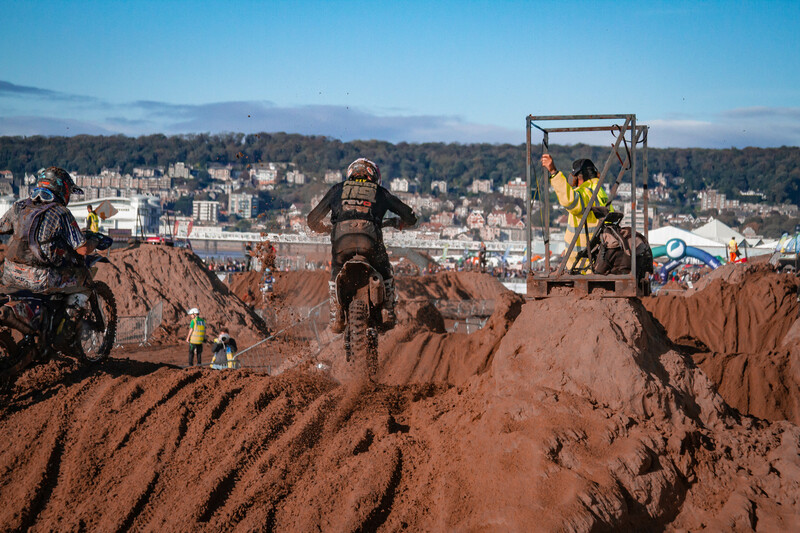 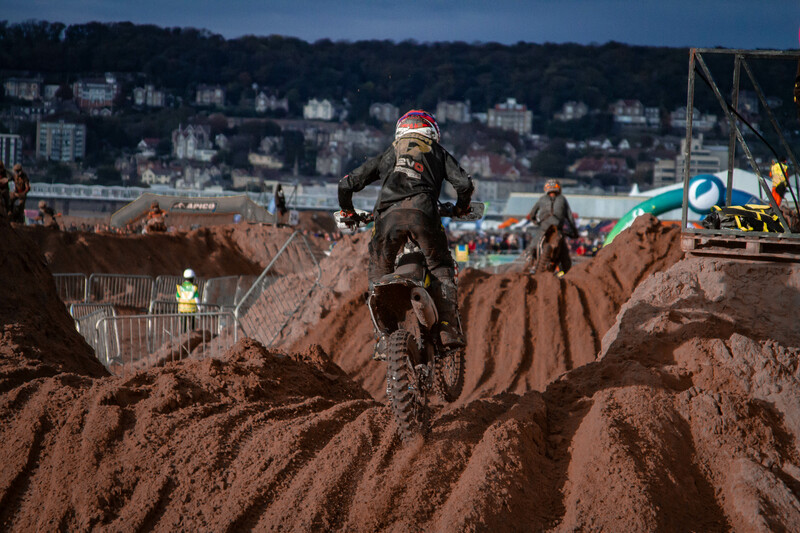 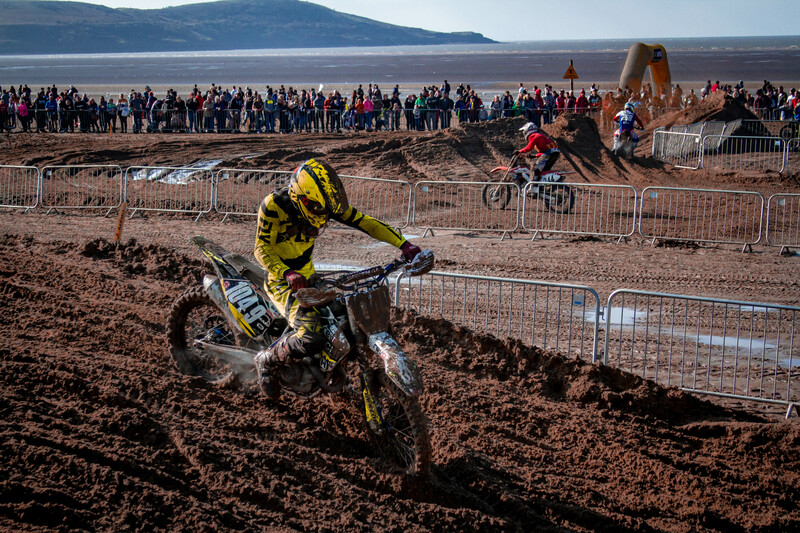 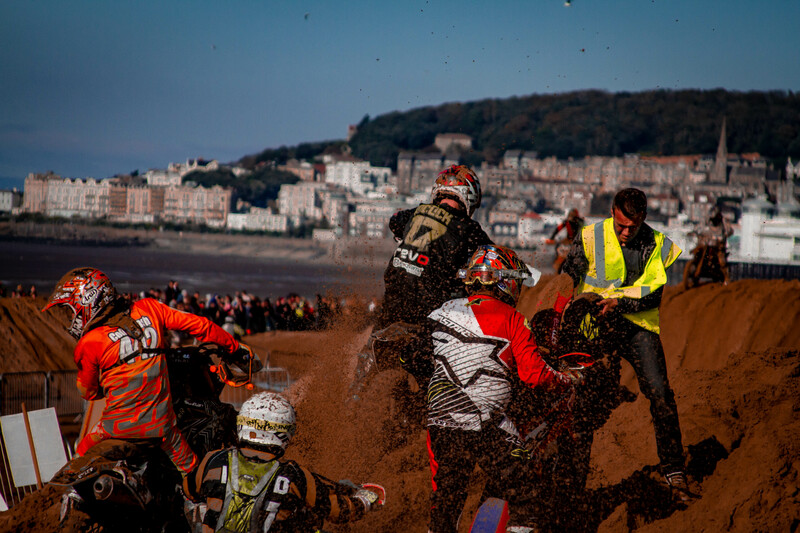 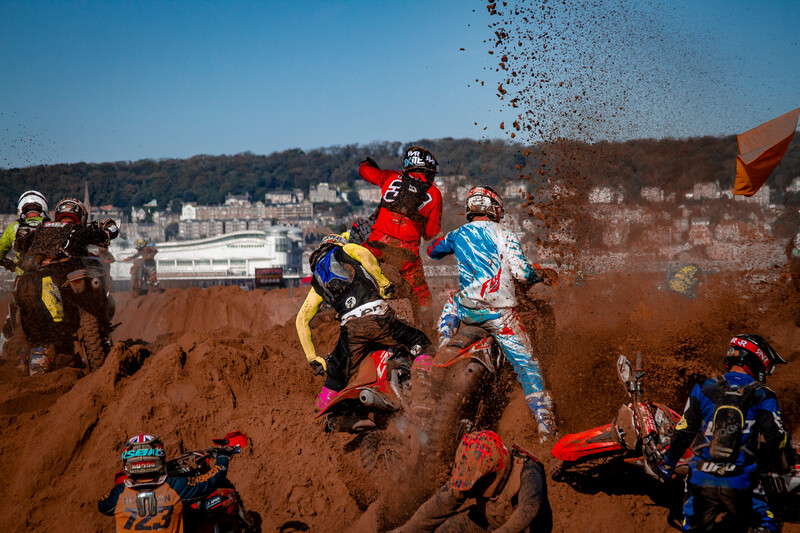 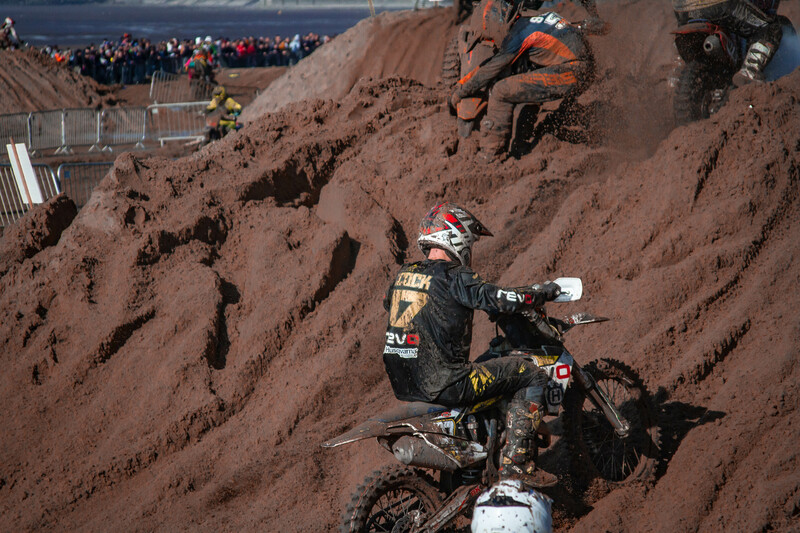 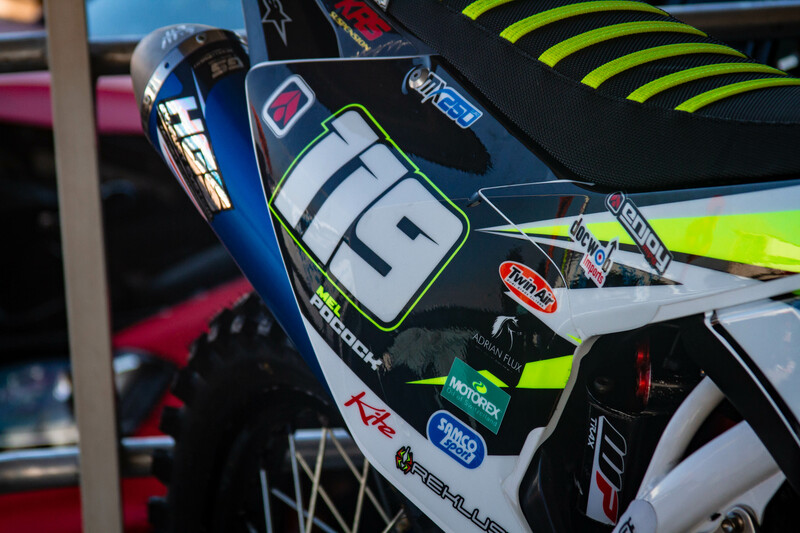 Last weekend saw the 36th edition of the famous Weston Beach Race, the UK’s ‘biggest, maddest and baddest motorsport event’. 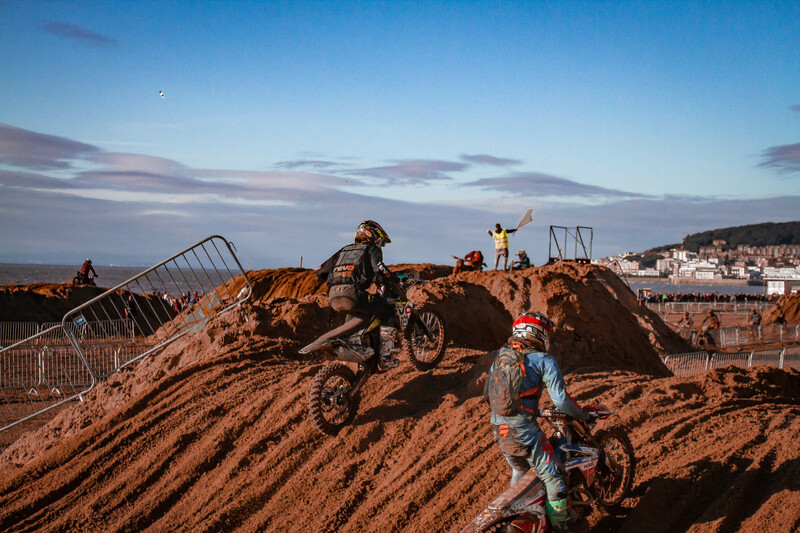 The 6km long course starts with an impressive 2km straight along the beach, followed by 36 dunes, the highest dune towering a monstrous 15 metres. 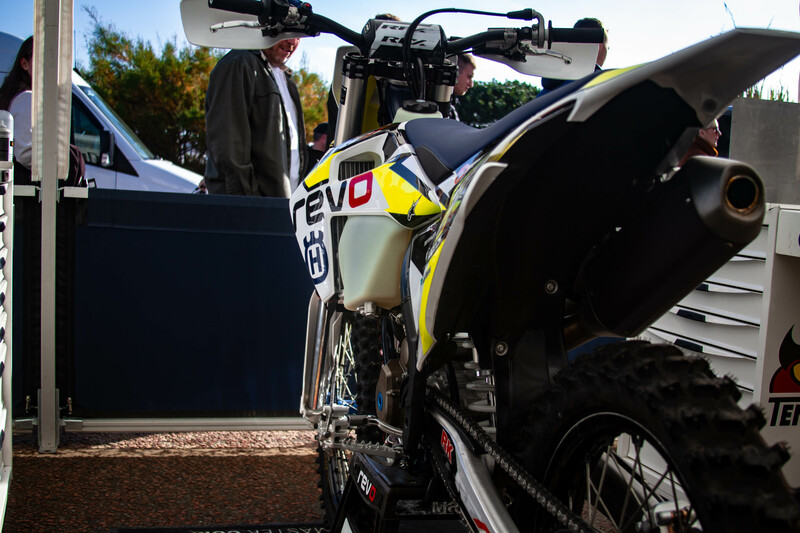 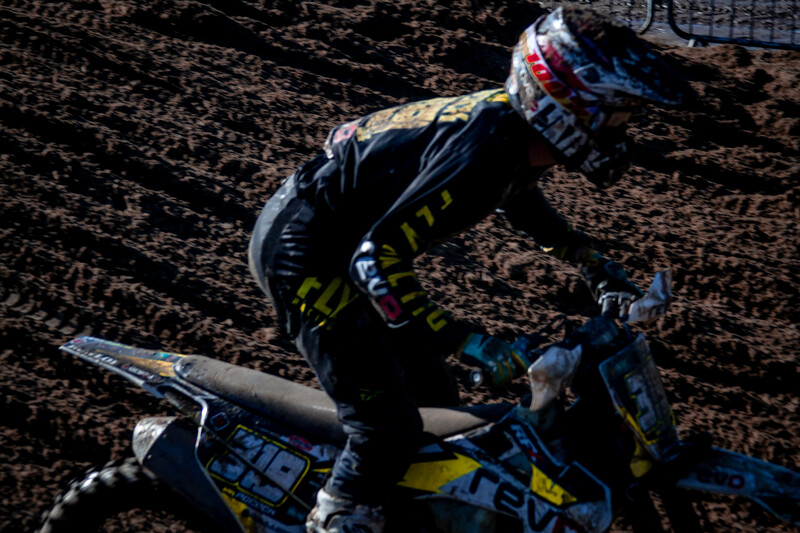 This was the first year Revo and Revo Husqvarna MX Team have visited the event, let alone competed. 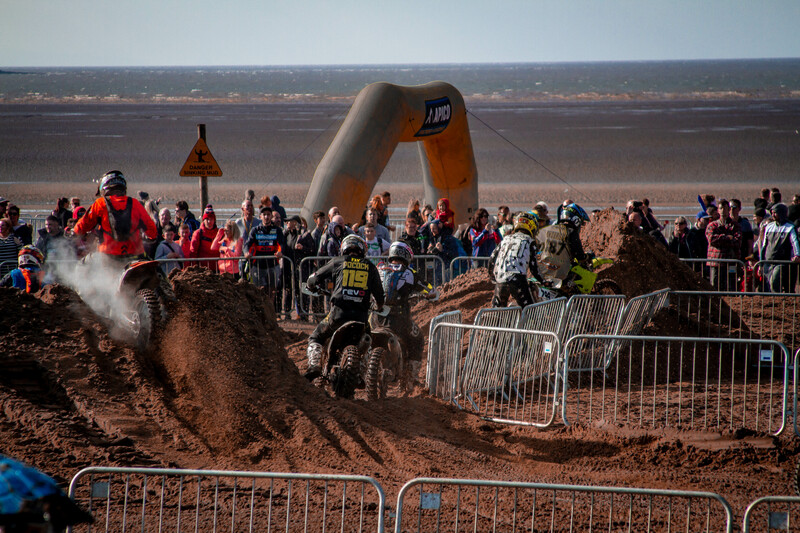 Bringing the whole Revo family along to showcase how effectively anything donned with a Revo logo performs whether on the road, or in this case on the sand. 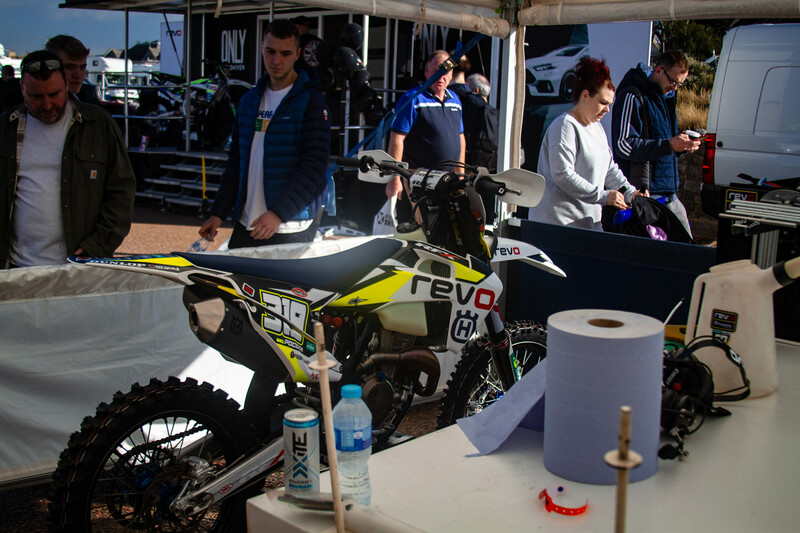 With over 80,000 visitors, there were plenty interested in getting up close to the 500BHP VW Golf R and Ford Ranger demo vehicles as well as hoping for a podium from the factory MX team. 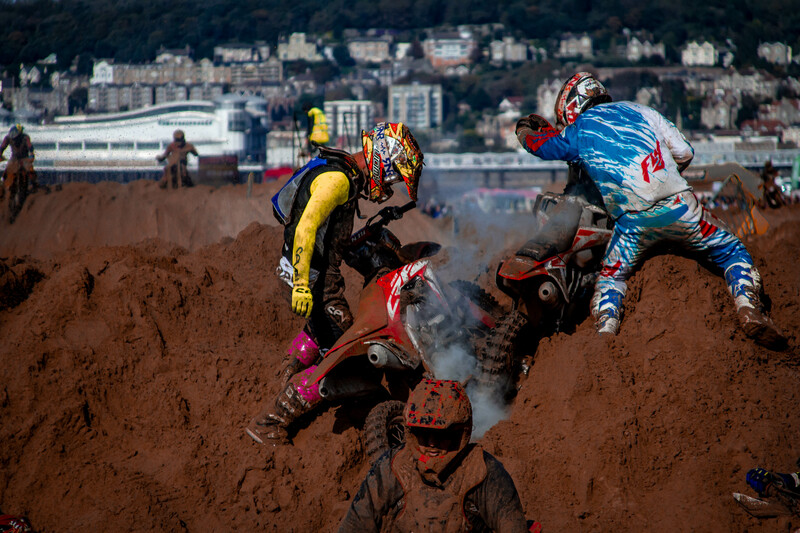 It was clear quite quickly that 2 wheels or 4, there’s a mutual passion for performance amongst all petrol-heads. 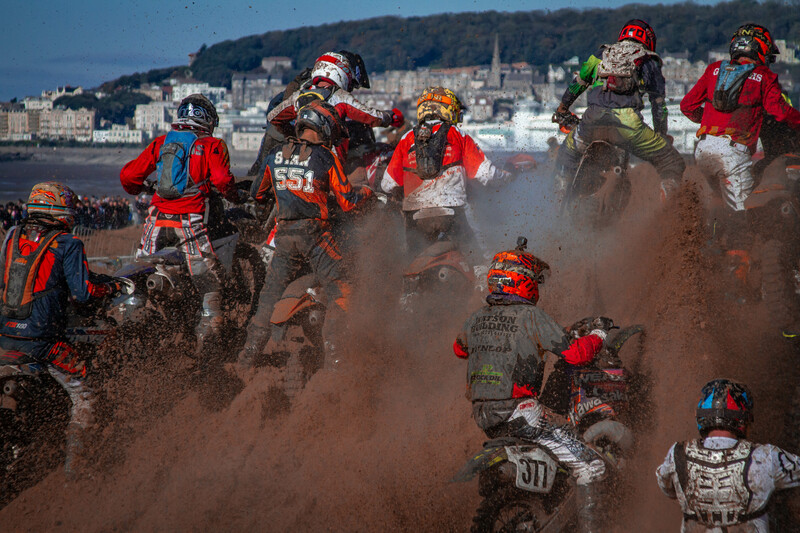 Over the 3 day event, thousands of riders took part in multiple races. 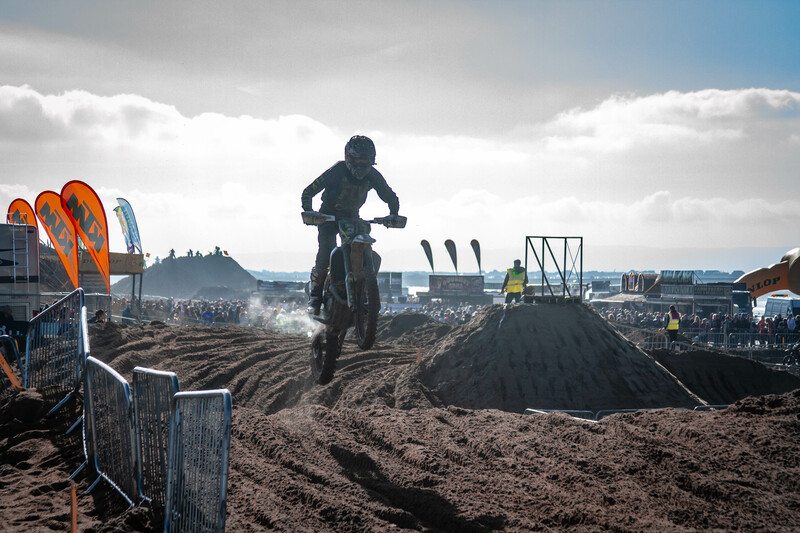 On Saturday morning the kids took to the track on their 65cc bikes to compete in a race lasting an hour and fifteen minutes! 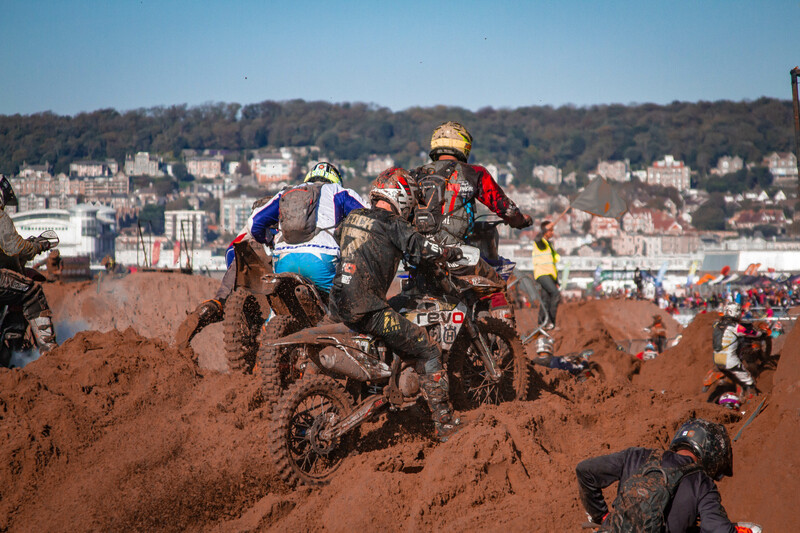 Followed in the afternoon by a three hour Adult Quad & Sidecar Race, which looked tiring enough from the Revo Trailer. 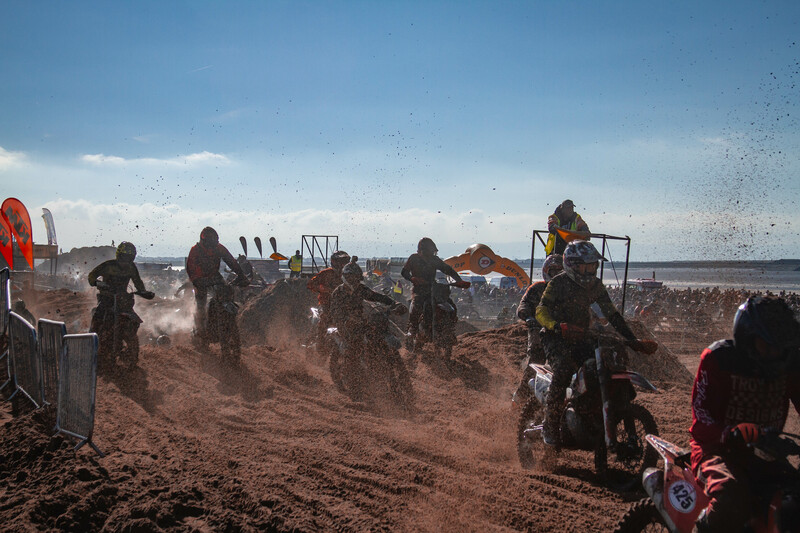 Sunday started with an hour and a half 85cc Race over the freshly re-shaped dunes. 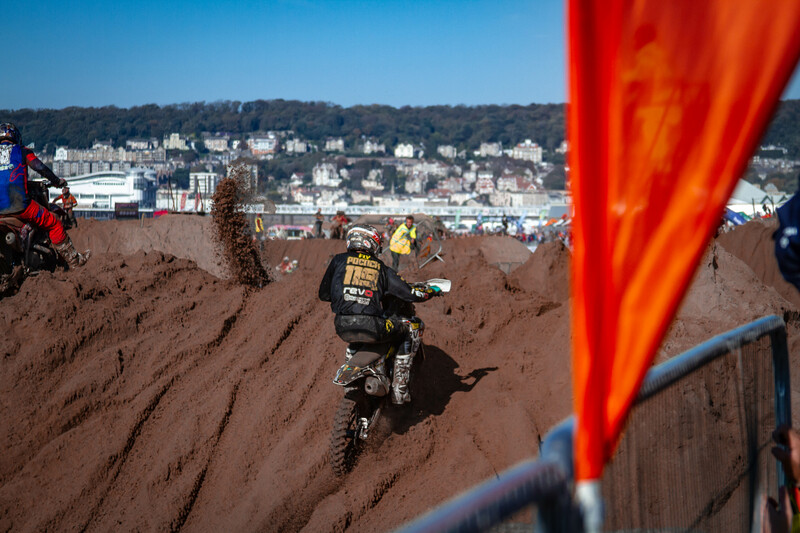 The main event on Sunday was the 3-hour Adult Solo Race, which saw 1000 bikes take to the course, which can only be described as deafening chaos. 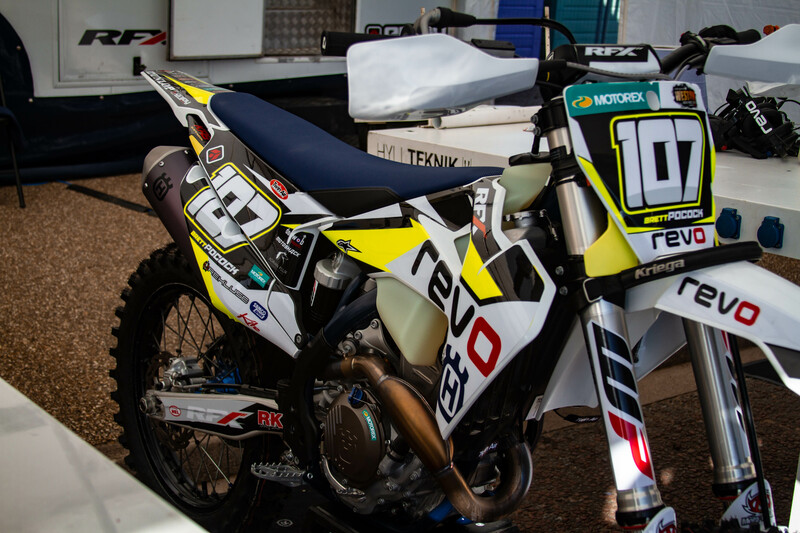 Revo Husqvarna UK had 2 riders competing, Mel Pocock #319 and his younger brother Brett Pocock #107. 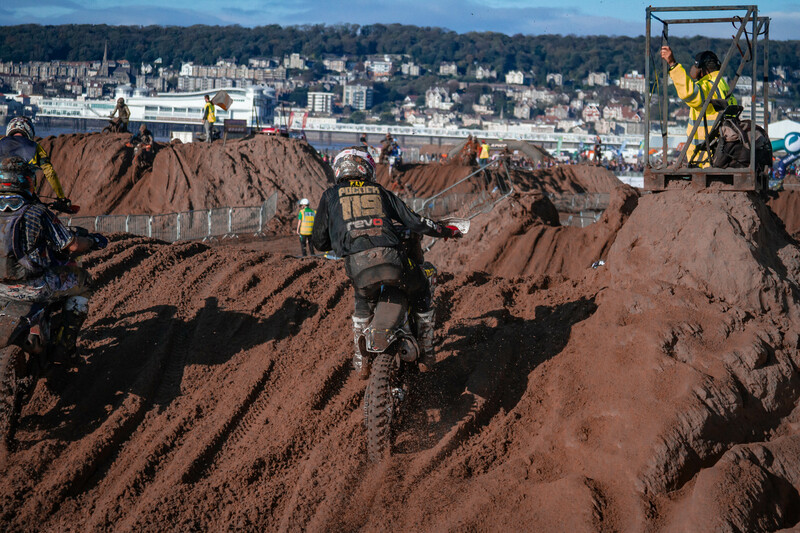 With Mel coming off the back of finishing 2nd in the 2018 FIM European 250 Championship. 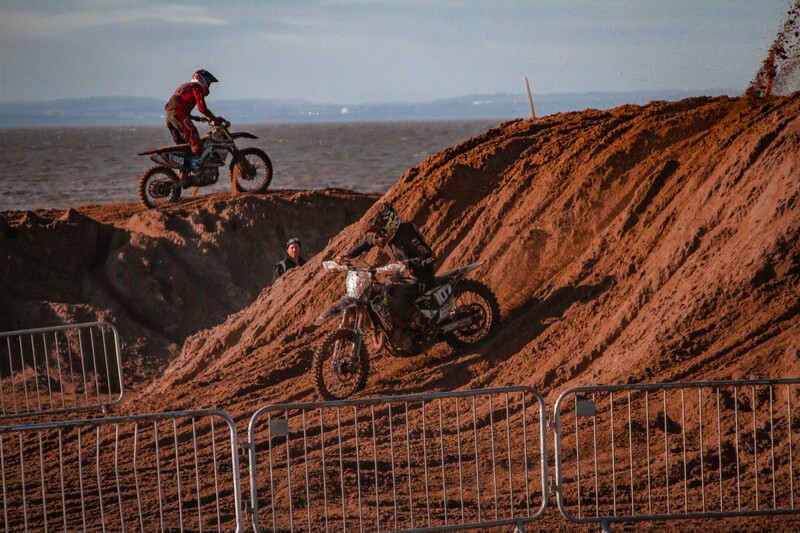 Both brothers would be riding new Husqvarna FX350 bikes for their first time on the Weston-Super-Mare beach. 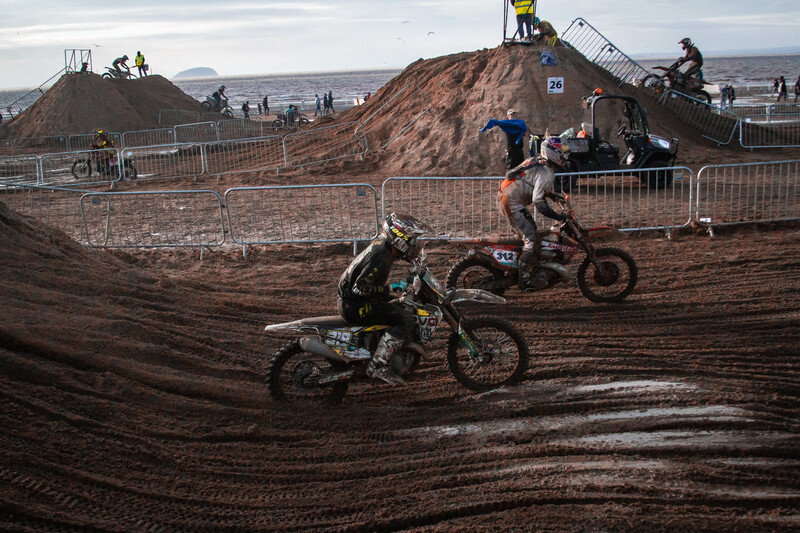 Both riders dug deep and pushed hard to cross that chequered flag. 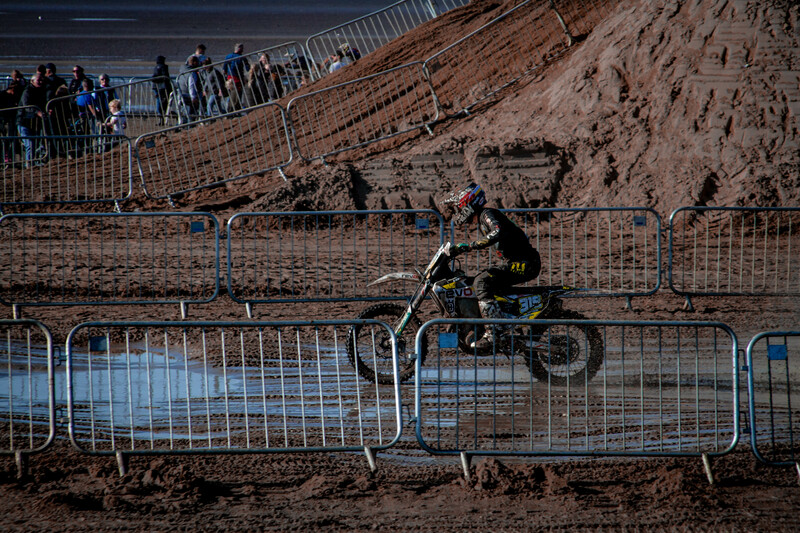 (Although at this point it was hard to make out one rider from another.) 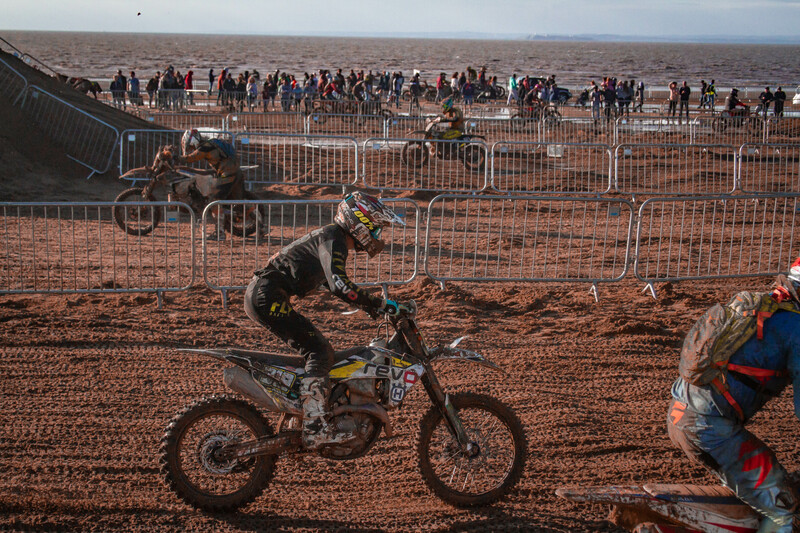 Mel remained driven throughout and finished an impressive 4th overall, just 1:30s off a podium finish, 4:46s off Todd Kellett who took his third successive victory.